Projectile weaving machines are constructed extremely sturdy and thus have a long life span. TW 11 machines that were produced 50 years ago are still in use. In total, around 150,000 projectile weaving machines have been sold to date. With this conversion, high quality fabrics can be produced in perfect quality. For a perfect weave pattern, the interplay between warp and fabric take-up is crucial. In this way start marks are reliably and effectively avoided or minimized even with delicate fabrics. 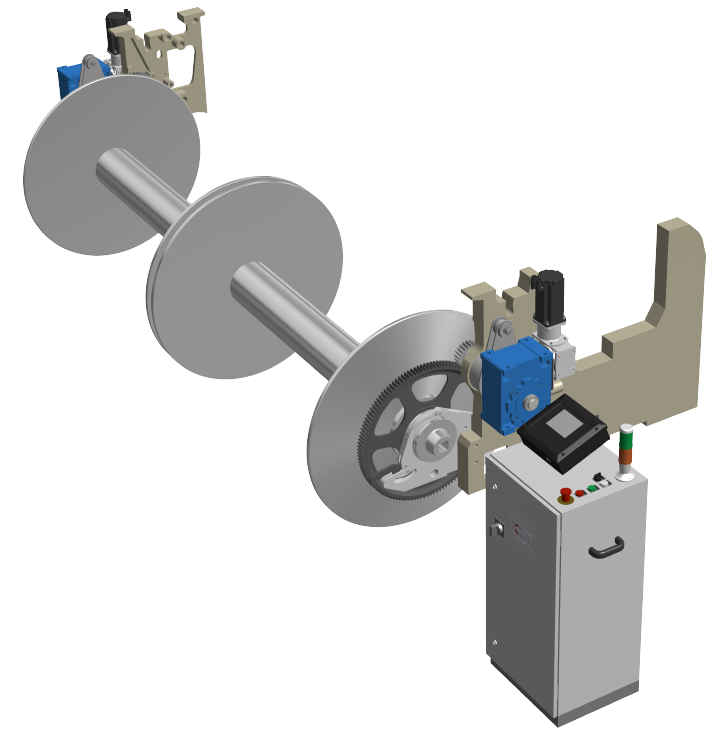 For wide weaving machines or when using two half-warp beams, the machine is equipped with two warp let-off devices. The perfect control of the warp tension is achieved by separate sensor systems. An upgrade brings many advantages in a highly competitive market! Have we piqued your interest? Feel free to contact us, we are happy to advise you individually. An overview of upgrade options which are available for your machine can be found in our brochure.